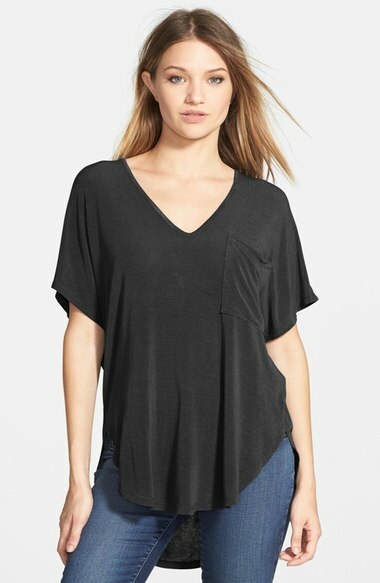 I confess...that I tried to go shopping for things post delivery (aka things in my normal size) and it was one of the worst ideas I think I've ever had. It was actually very depressing and had me cursing in the dressing room because I got stuck in a shirt (lol), so then I ended up in the shoe section (you know-after I got out of said shirt) which made me feel a little better since I got a really cute pair of sandals. Thanks to the shoe section for redeeming the evening...somewhat. I confess...I'm not proud of the amount of caffeine I've been drinking lately. Absolutely essential to survive these last few weeks of pregnancy with a toddler at home. I confess...I'm itching to go on vacation. Probably not the best time to have this itch since I CAN'T DO ANYTHING ABOUT IT! #wahwahwah. I confess...FGL's "Holy" is on repeat in my car these days. I confess...I've found two holy grail skincare products that have done wonders for my skin, and make me feel like I just had an amazing trip to the spa. I snapchatted about them about a month ago, but had to share here too. Honestly, they are better than any other skincare product I've tried over the years (just read the reviews for them!) I will happily pay for these products time and time again in the future because they are worth every penny. 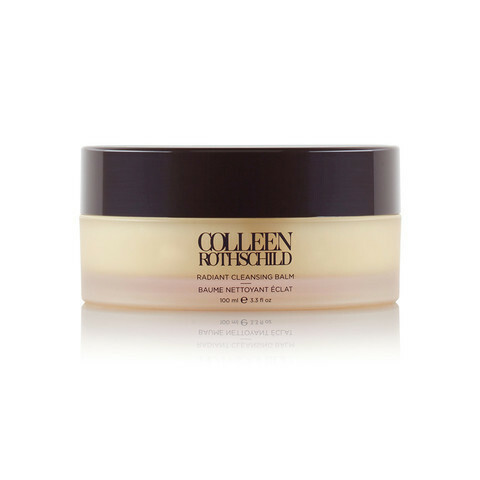 The first is Colleen Rothchild's Radiant Cleansing Balm (you can buy it here too), which is a MUST try/buy. It dissolves all eye/face makeup (even mascara) and leaves my skin so smooth and hydrated. You rub it together in your hands which warms the products and massage it all over your face. Then you place the muslin cloth that comes with it over your skin for a mini facial and wipe off the balm. Obsessed! I even used it on Billy because I was raving about it so much. 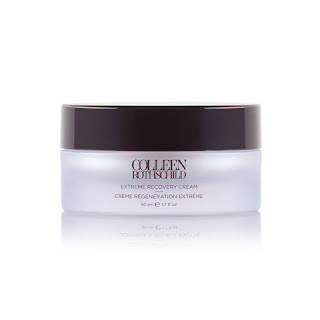 The second is the Extreme Recovery Cream (can also buy here) that I like to use in both the morning and night. This cream fights fine lines and wrinkles and evens out skin tone and texture. My skin just absorbs this cream and looks so much better when I use it. Both of these products have a spa like fragrance and feeling to them, and you get a lot of product so don't be put off by the prices. If you've never listened to me rave about skincare before, now is the time because you'll soon be hooked like me if you try them! 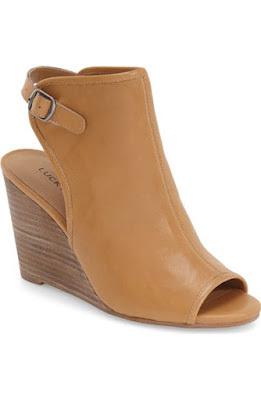 I confess...these running shoes and these booties (the perfect color-I want these so bad! only $60) are everything. Get yourself a pair. I confess...Camden has started saying please and it is the cutest thing I've ever heard. He also loves to hold our hands now, which I'm sure won't last long, and makes the cutest face when he sticks his hand out to us. My favorite is when he wants to hold both me and Billy's hands when he goes upstairs to bed...so precious. He's something else. I confess...my Dad offered to babysit Cam on Saturday so we will get another date night. Hooray for one last dinner out and a movie before baby #2 comes! I confess...I really want a Ford Explorer for my next car....I LOVE them! I'm trying to talk Billy into getting one sooner rather than later but am failing because I don't have a car payment now so it's proving to be difficult to get him on board. Who has one and wants to give me some great reasons why we need one so I can try to convince him? What do you confess? Tell me one confession in the comments!! I do not have a Ford Explorer, but we have been looking for a slightly used one! I love them, too! I'm in more of a rush than my husband. My car is totally paid off, too. And we're just a few months away from my husband's truck being paid off, so I will probably have to wait until after that -- we don't like to carry more than one car payment at a time. Boo for adulting and having to budget. I have that LUSH tee too, it's soooo comfy and perfect! Go for a Tahoe, not an "Exploder". Having a spacious SUV is awesome :) Keeping you and Baby #2 in my prayers for an easy labor and delivery! thank you Laura! Appreciate the prayers!! I do like the Tahoe's but they are a little big for my liking (right now that is...with 3 kids we will probably need that size) I just don't like the huge SUV's-keeping it in mind for sure though! Katie! The Explorers are DOPE!! Especially if you get the loaded one ;)! I don't have one but Jared's old boss did and he loaned it to us for a while. Needless to say I was shocked spoiled driving around in his brand new pimped out SUV. Going back to my 2002 Green Bean Camry just wasn't the same. Lol! I have a 2016 Explorer and LOVE it! Both my husband's and my car's were paid off, so it was hard to pull the trigger (it literally took a full month from the first time we test drove it to actually buy it...) but we never looked back once we did! I have a 12 year old step son, and then we have a 9 month old daughter (we bought it with the anticipation of having 3 kids total 'one day') and there is so much room in it. We just went away for 5 days over 4th of July, and we had plenty of room for everything ... all the toys and games and floats and 'stuff' for both a 12 year old AND a 9 month old (not to mention my husband is the biggest over-packer ever.) It also rides like a dream. Highly, highly recommend! I have a 2014 Explorer and absolutely love it! It drives, and handles like a dream. My husband also loves driving it. I went for the mid-range model and it has the large touch-screen display, Sync system & back up camera. The 3rd row seat is also super easy to pull up, and I love how you can open just half of it and still have plenty of storage space. LOVE my 2016 Explorer. I got a Limited with 2nd row captains seats after doing a bunch of research on the different models. Love the options that come with the Limited, especially the power 3rd row. Also the park assist parallel parks the car for you! Awesome for bad drivers like myself. Only cons - no armrests on the 2nd row seats (but the car seats are there anyways) and it already died on the highway at 9k miles. Needed a replacement throttle body. Also happened to my BFFs 2016 Explorer. The gas tank is also much smaller than my old car (Jeep GC). EN's teacher has the Ford Explorer and she just loves it! !